Kiwi Fashion Blog: Harajuku girl inspiration! I'd ditch the dark socks for something lighter, like white or grey. They just completely blend into your shoes. Maybe go with shorter socks, too? 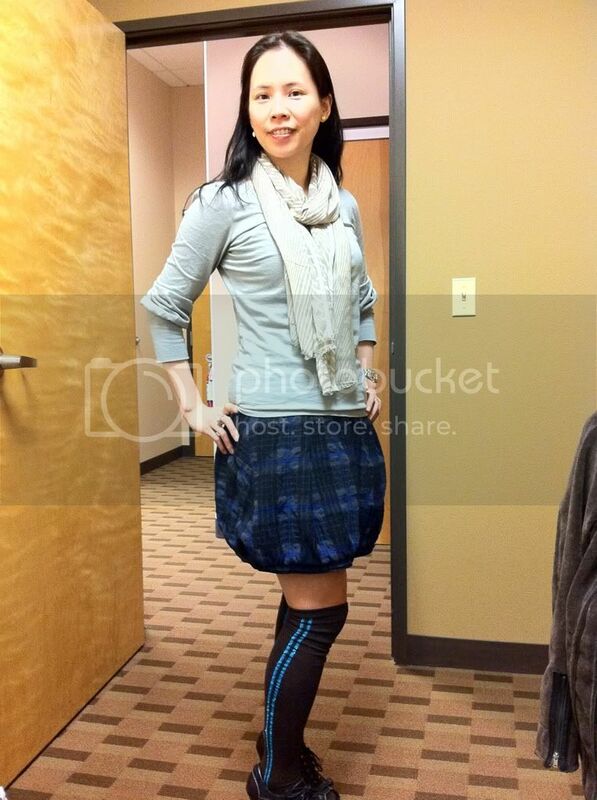 The long socks, and longer skirt and sliver of skin make your legs looks a bit stumpy. Or perhaps opt for knitted tights with a subtle pattern?